The project, 3D Housing 05, was built on-site by a portable robot as a way of showing how 3D-printing can reduce construction waste but still create a beautiful space. The house is the first of its kind, because it is 3D-printed, but can be deconstructed and reassembled somewhere else. Like you’d expect from such respected names in architecture, the house is quite stylish. A one-story home with curved walls and four separate spaces built out of 35 modules, the house embraces its 3D-printed roots, with the printing texture adding warmth to the concrete space. The architects used a Cybe mobile 3D concrete printer and a specific mortar called CyBe MORTAR. The material sets in five minutes, with a dehydration time of 24 hours – compared to the 28 days for traditional concrete. “My vision was to integrate new, more organic shapes in the surrounding landscapes or urban architecture…. The challenges are the project’s five key values: creativity, sustainability, flexibility, affordability and rapidity. 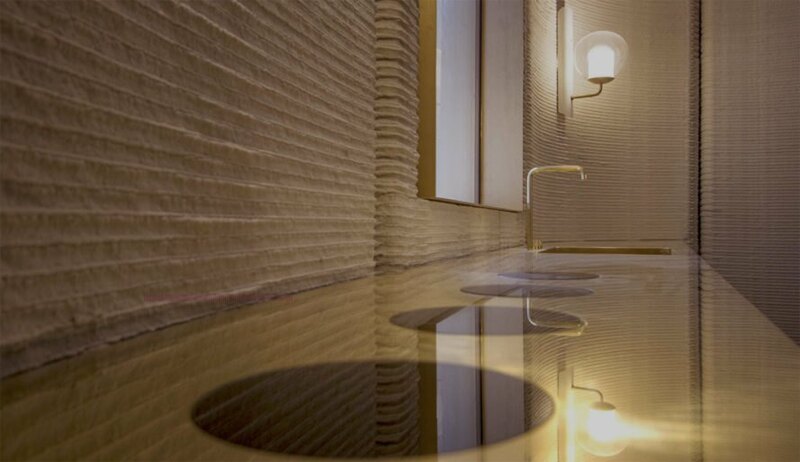 The opportunity is to be a protagonist of a new revolution in architecture,” Locatelli told Wallpaper*. 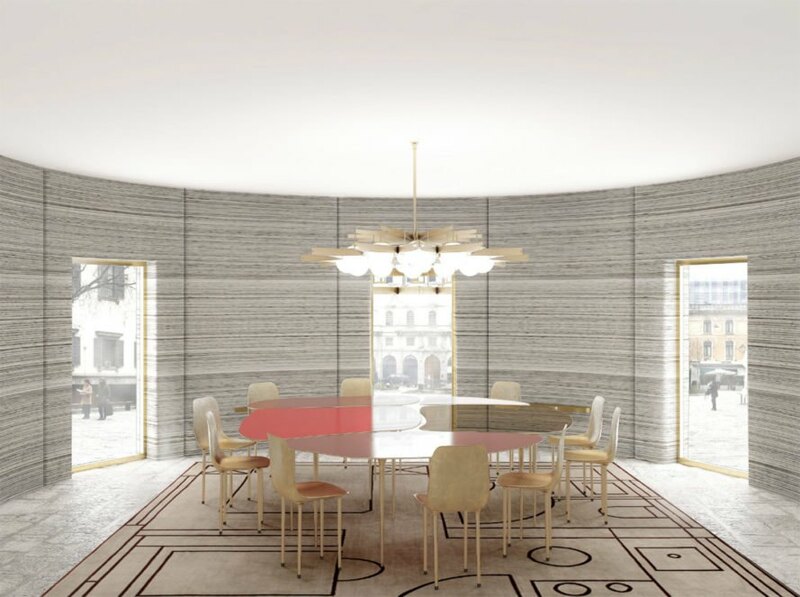 Arup and CLS Architetti revealed the design at the Salone del Mobile festival in the grand Piazza Cesare Beccaria. 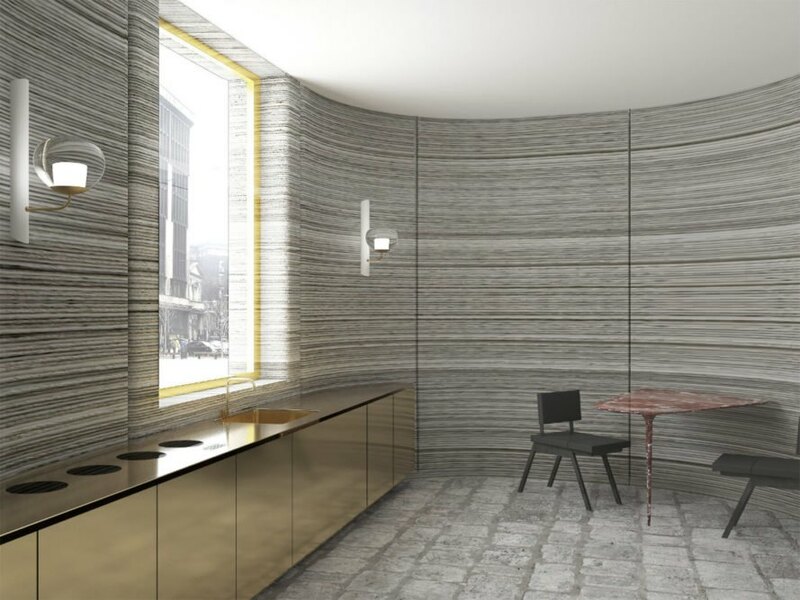 There are a lot of 3D printed houses popping up these days, but this is the first time an architect with the renown of Massimiliano Locatelli of CLS Architetti and Arup has tackled one. The 1076 square foot house was built out of a special quick-drying mortar and was constructed in just 48 hours. Locatelli envisions 3D printing as the housing of the future - and that his house could be constructed anywhere, "even the moon." Like you'd expect from such respected names in architecture, the house is quite stylish. A one-story home with curved walls and four separate spaces built out of 35 modules, the house embraces its 3D-printed roots, with the printing texture adding warmth to the concrete space. 3D Housing 05 was built on-site by a portable robot as a way to show how 3D-printing can reduce construction waste. The house is the first of its kind, because it is 3D-printed, but can be deconstructed and reassembled somewhere else. The architects used a Cybe mobile 3D concrete printer and a specific mortar homes called CyBe MORTAR. The mortar sets in five minutes, with a dehydration time of 24 hours - compared to the 28 days for traditional concrete. "My vision was to integrate new, more organic shapes in the surrounding landscapes or urban architecture.... The challenges are the project’s five key values: creativity, sustainability, flexibility, affordability and rapidity. 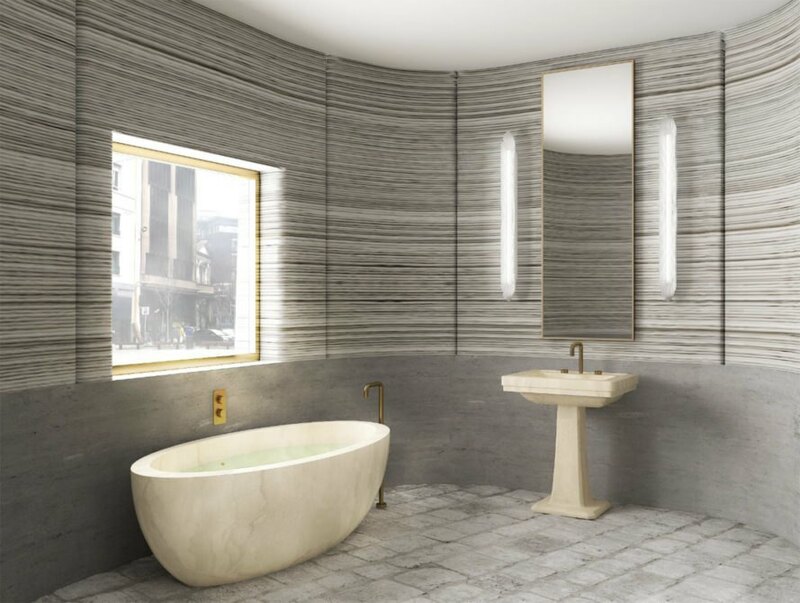 The opportunity is to be a protagonist of a new revolution in architecture," Locatelli told Wallpaper*. The floorplan for 3D Printed Housing 05 by Arup and CLS Architetti.